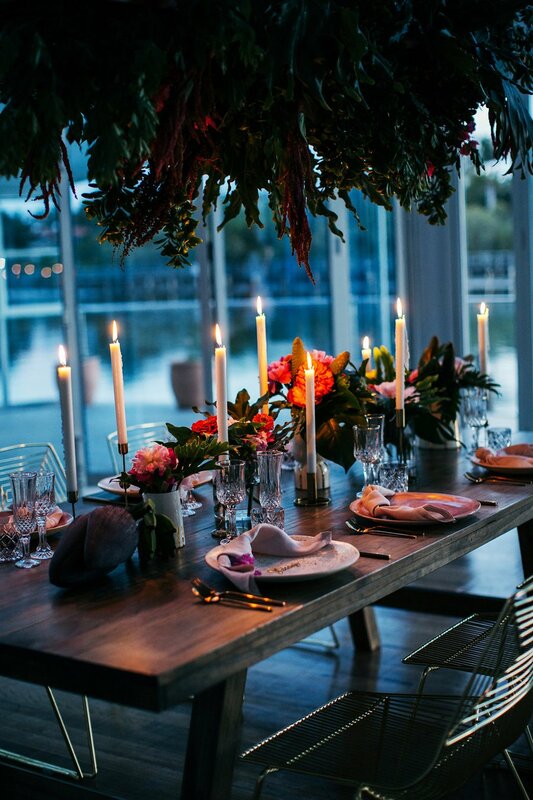 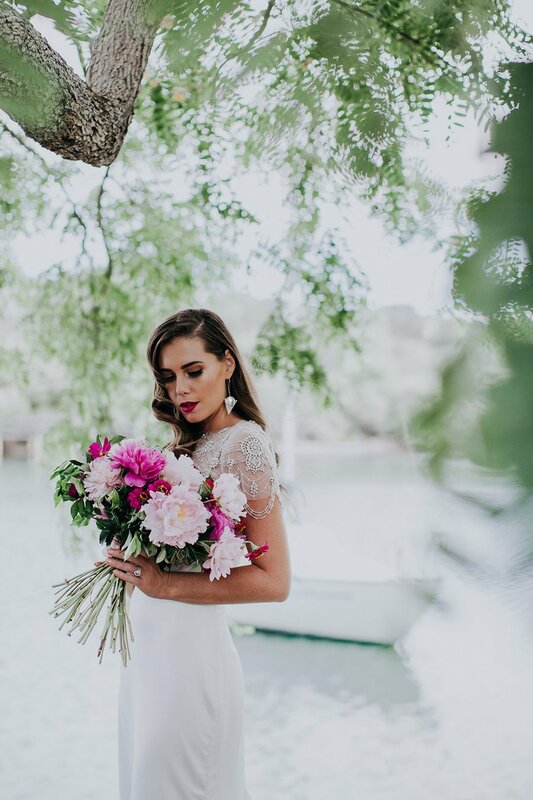 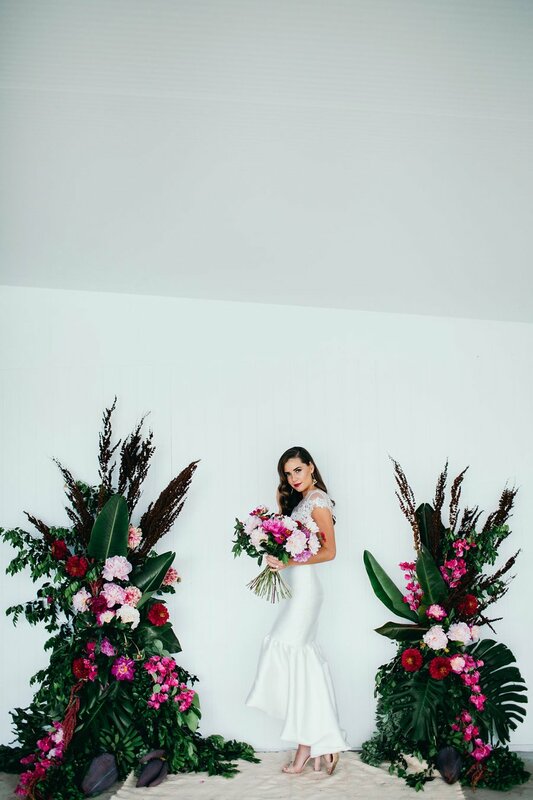 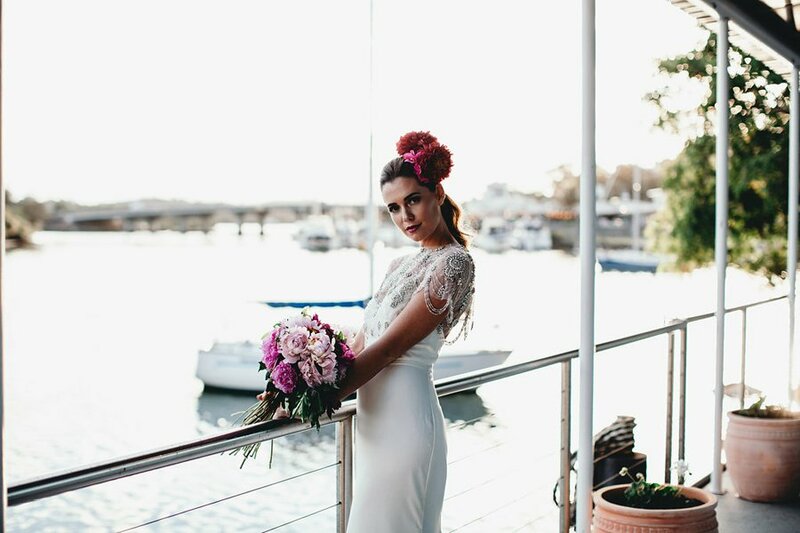 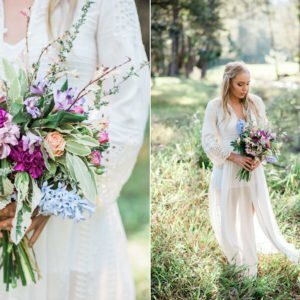 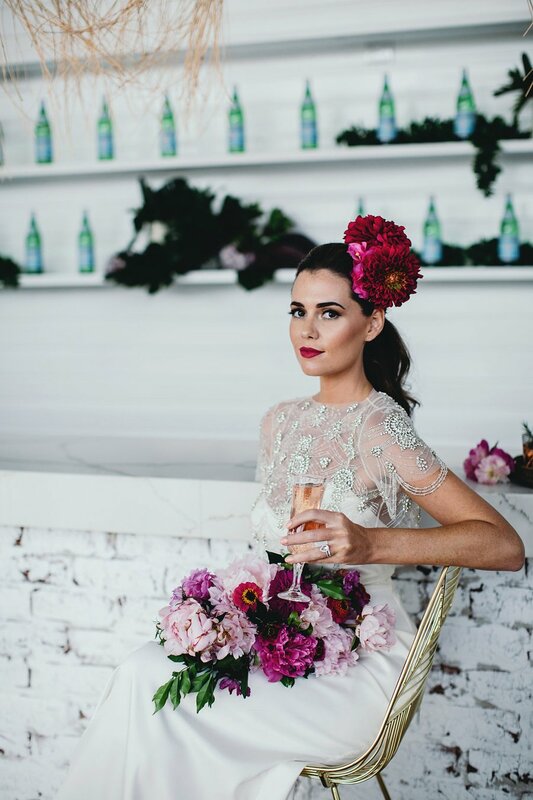 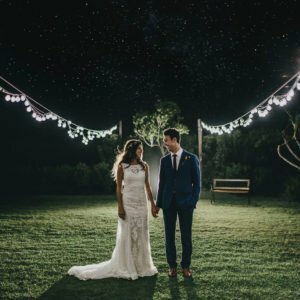 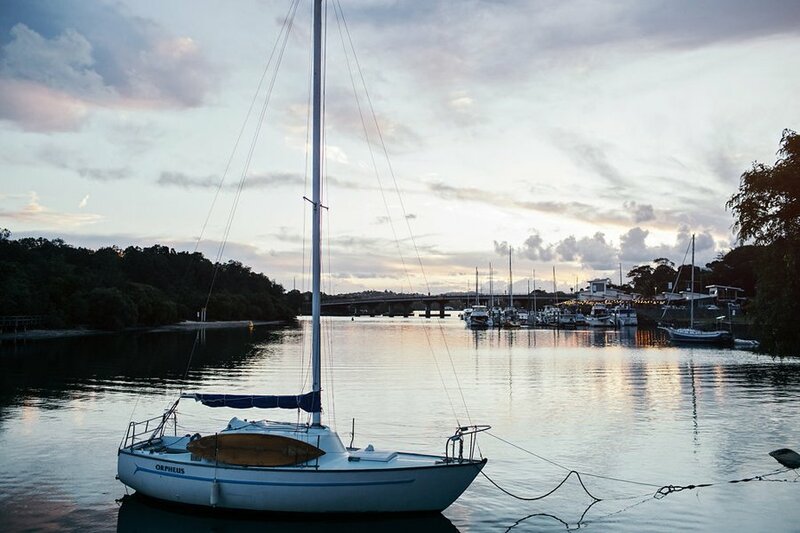 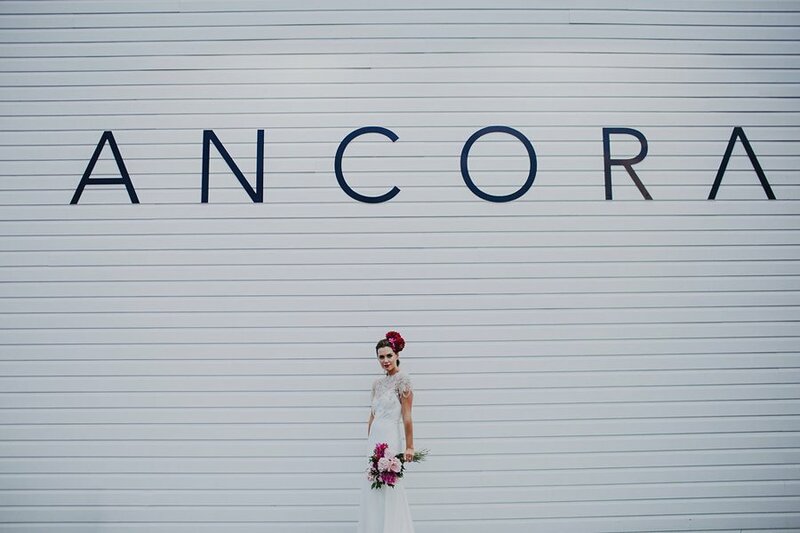 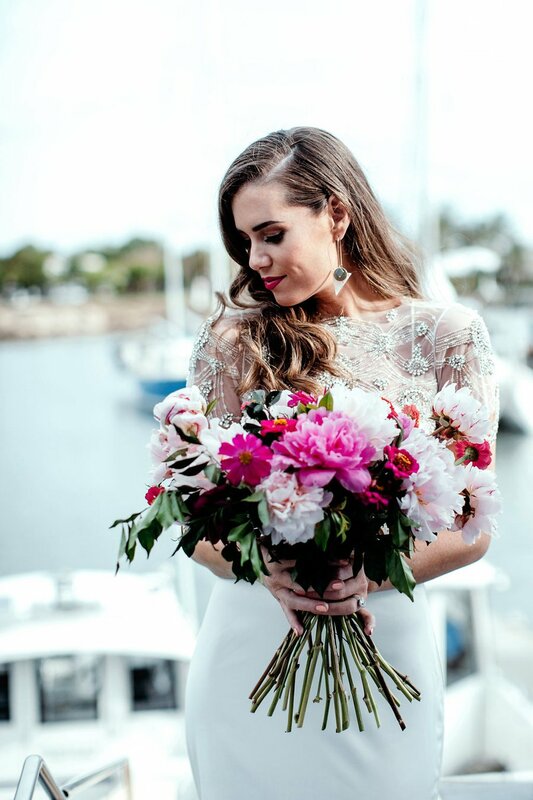 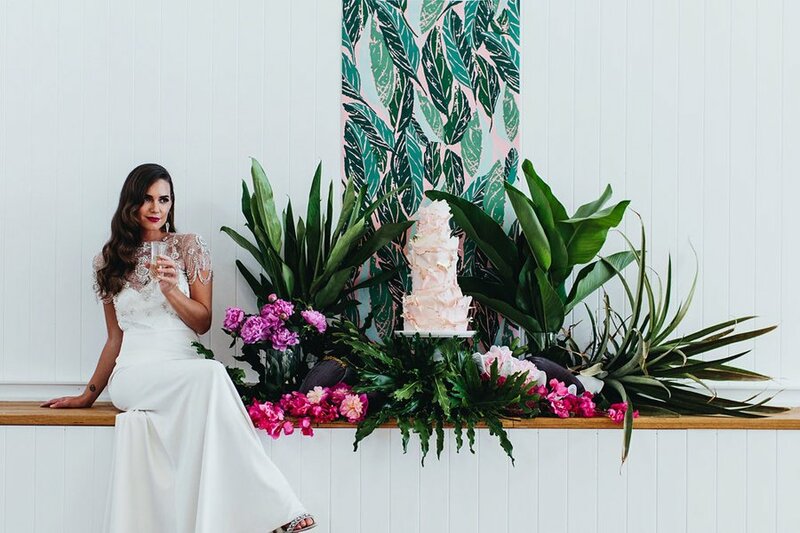 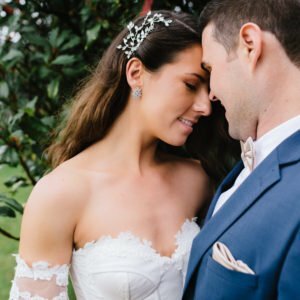 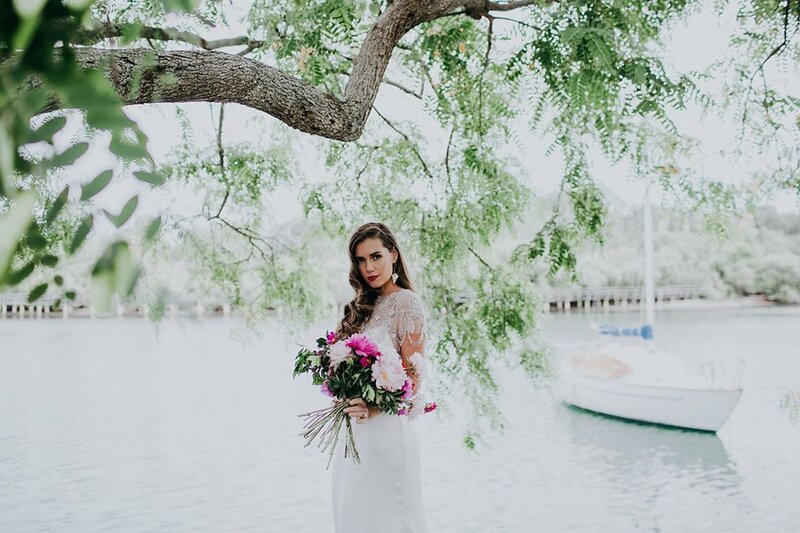 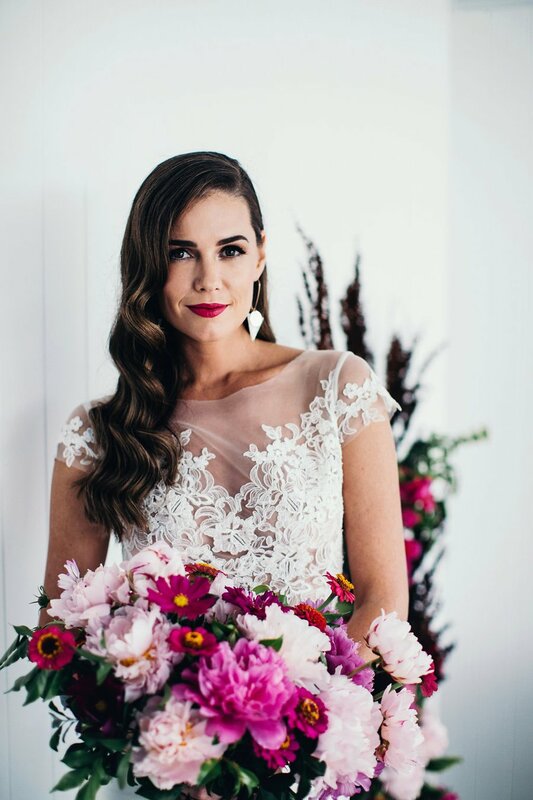 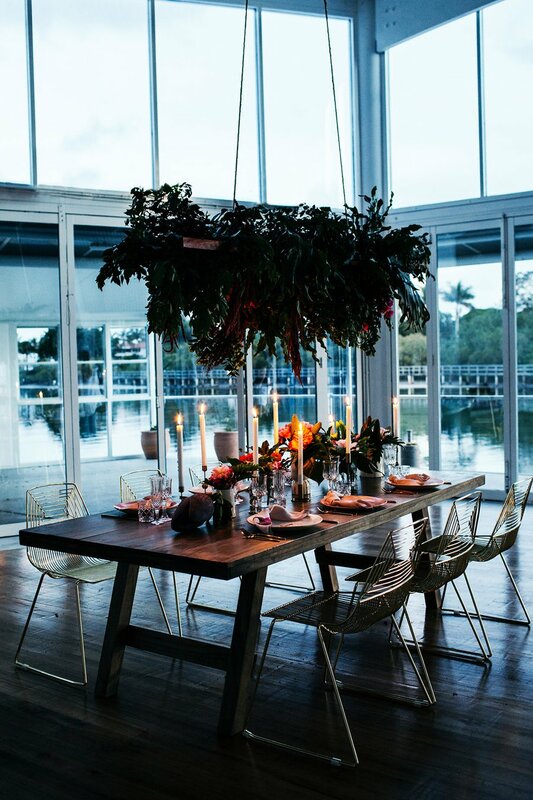 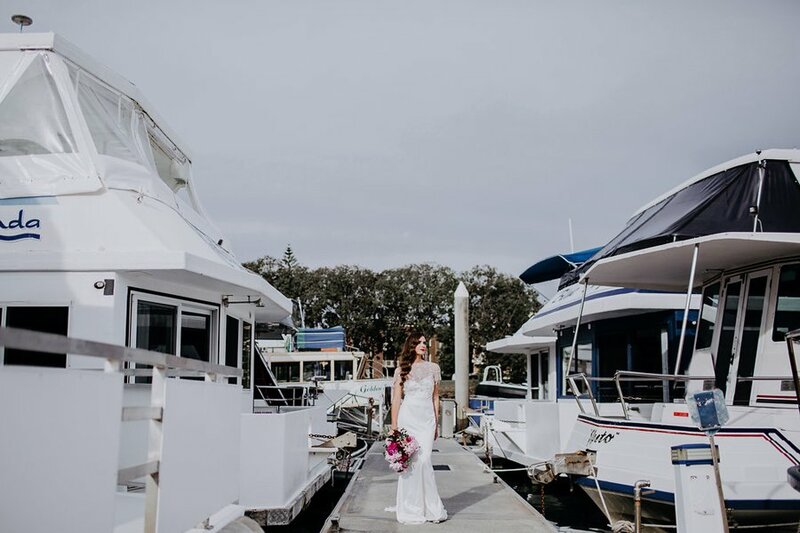 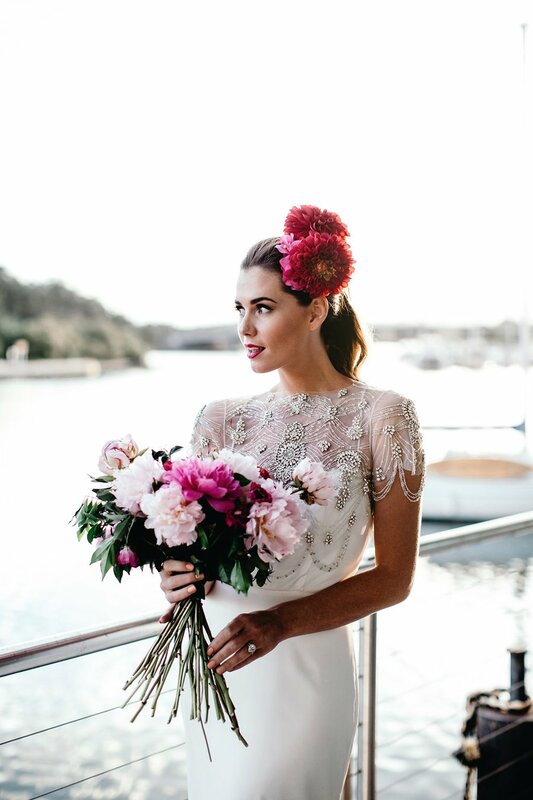 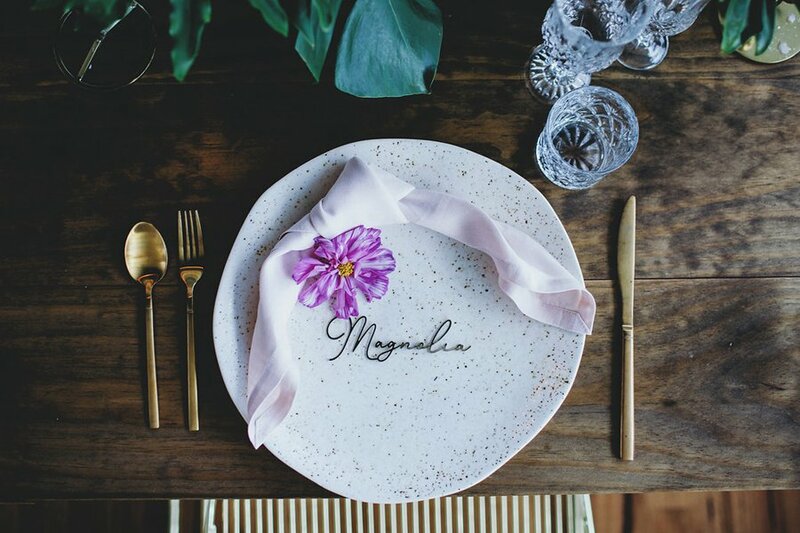 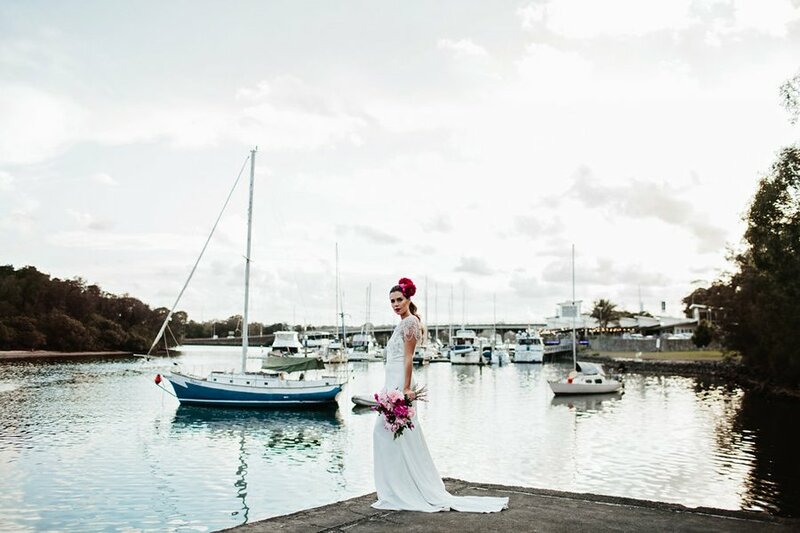 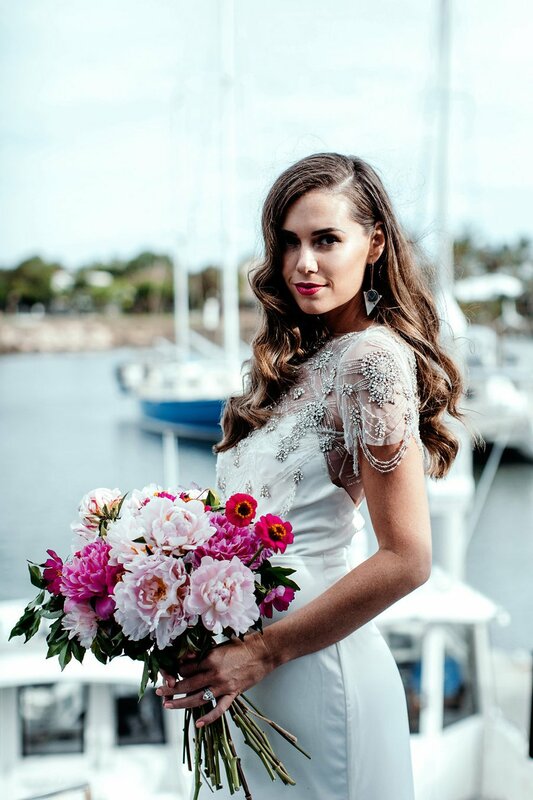 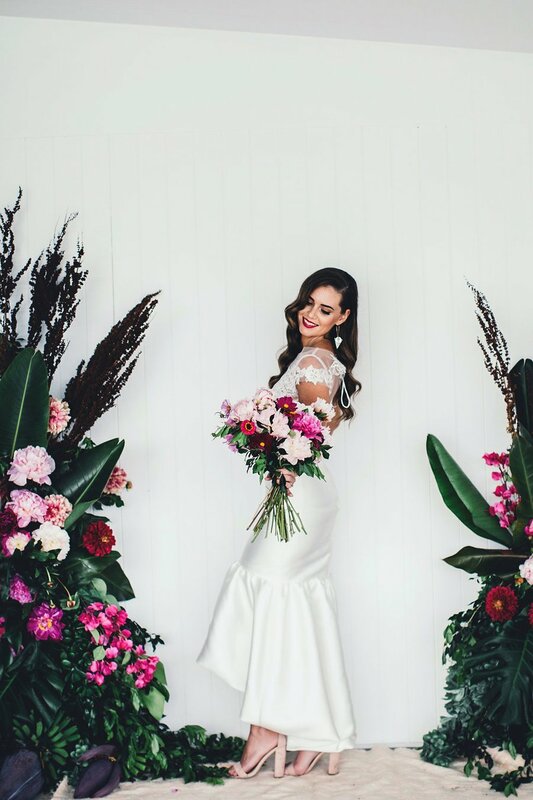 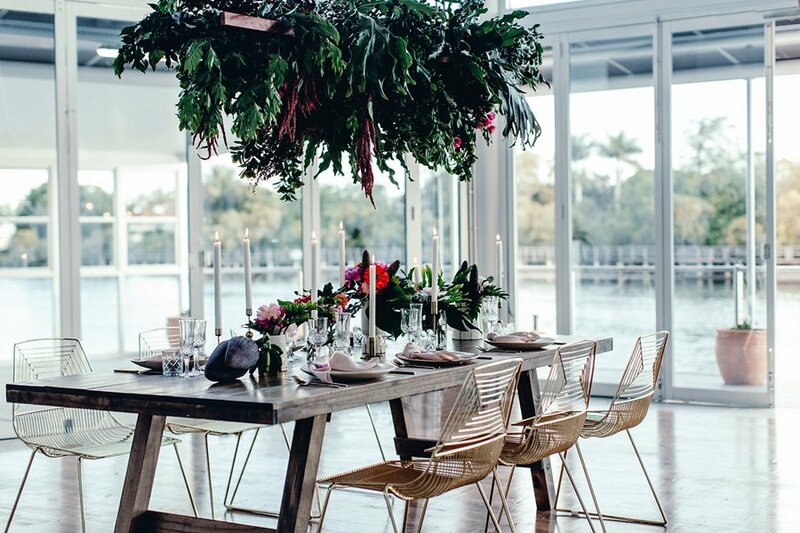 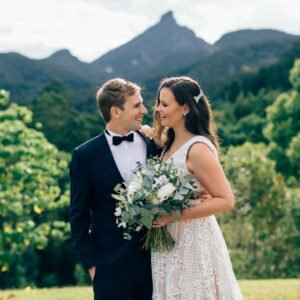 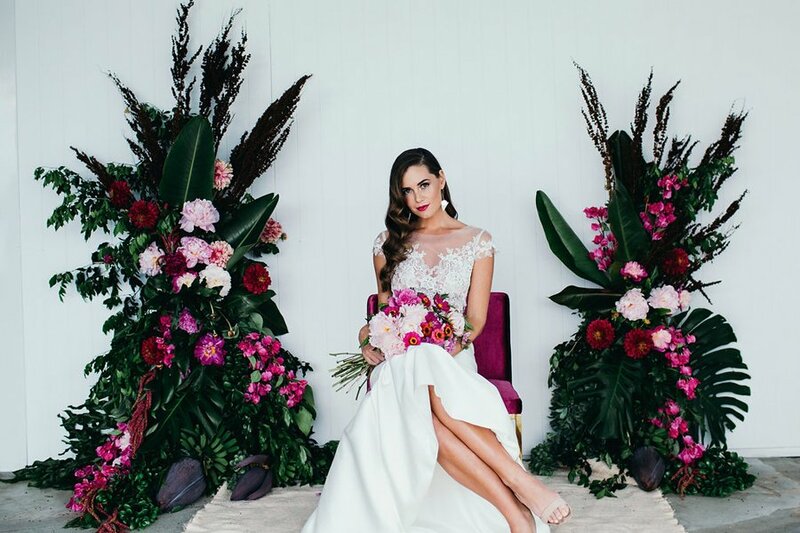 With a fantastic group of local wedding suppliers, the team behind this styled shoot at Ancora – the Tweed Coast’s newest waterfront wedding venue, were able to create a stunning glamour filled shoot. 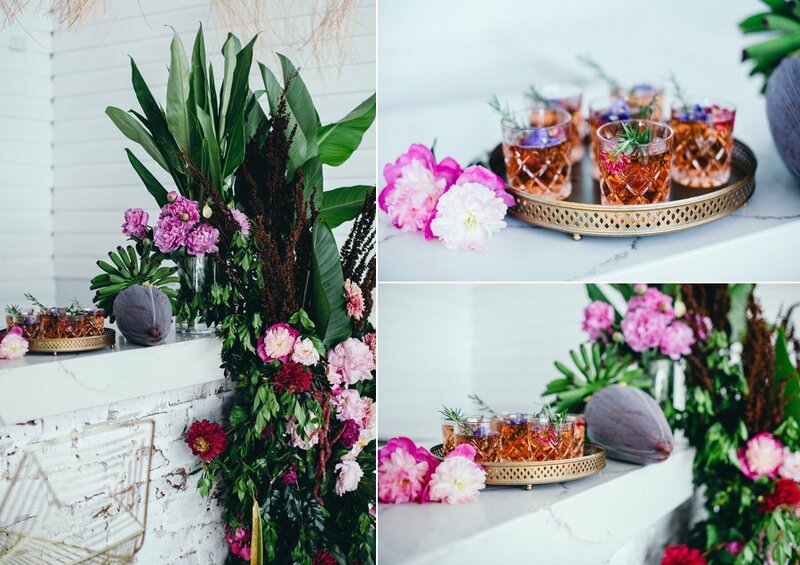 The look and feel the team were going for is Jungalow, 1940’s Hollywood glamour with hints of Havana in the colour pops. 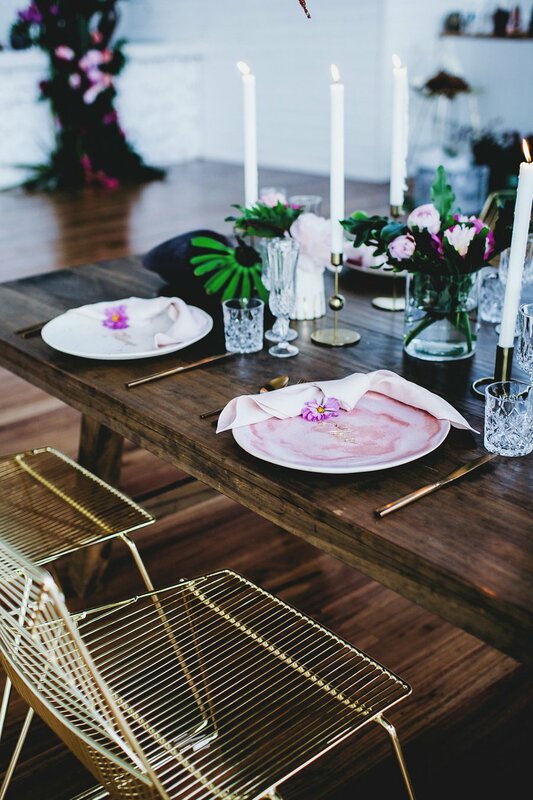 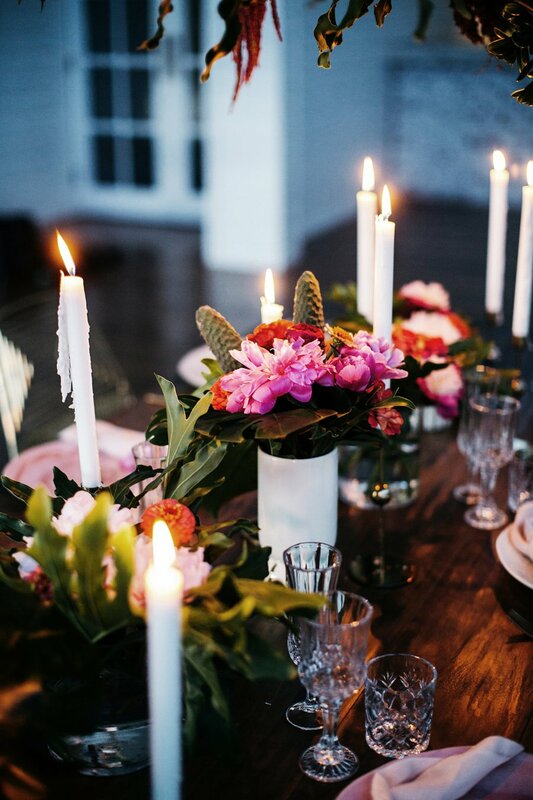 With hire items from Hampton Event Hire, the star pieces for the shoot were their gorgeous velvet and gold sofas in blush pink, magenta pink and the emerald green. 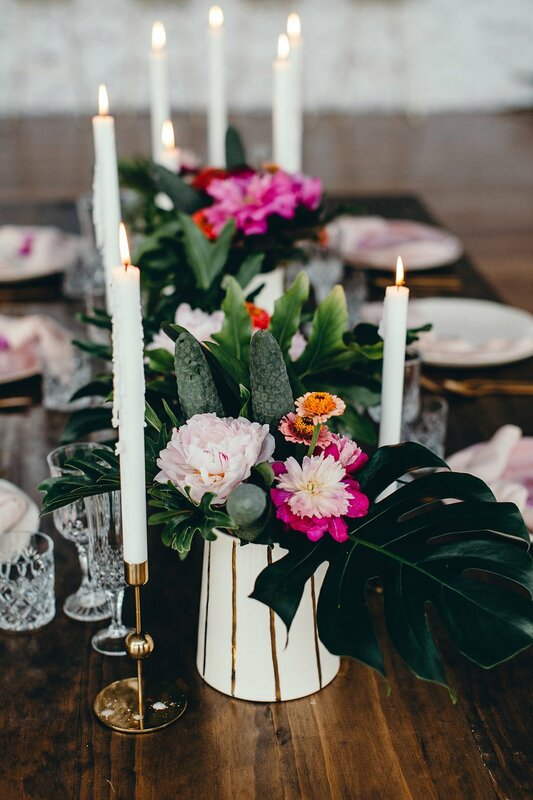 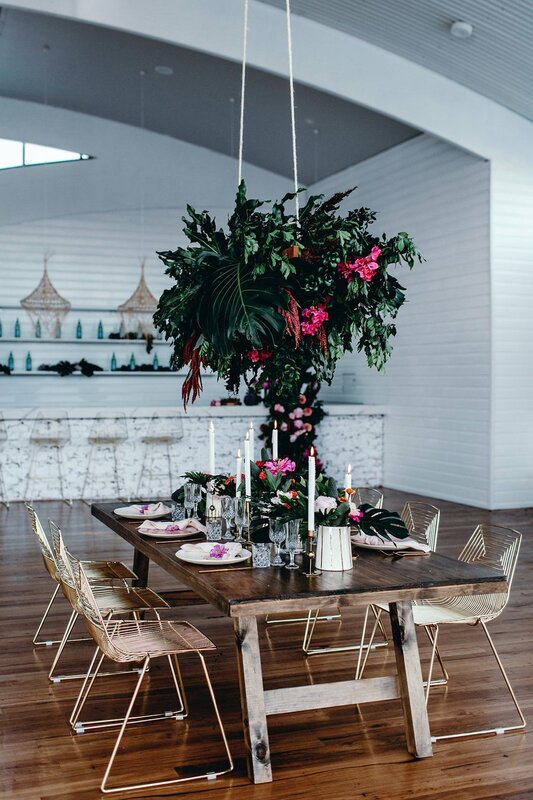 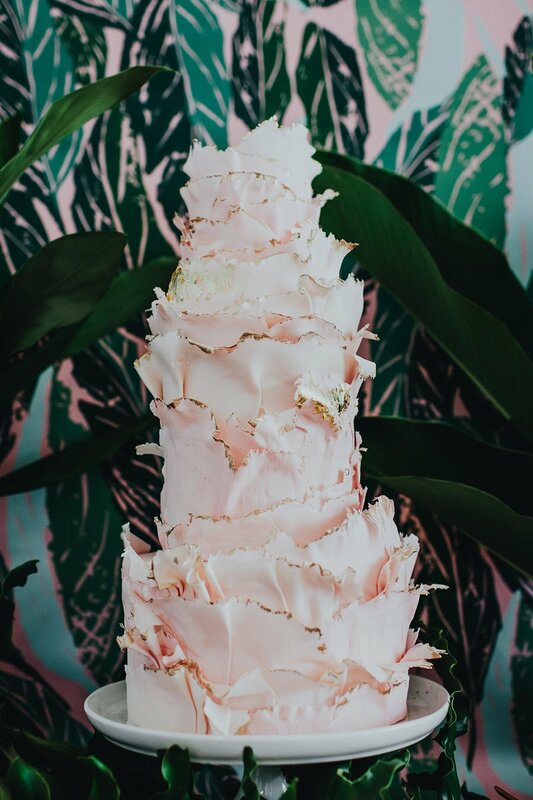 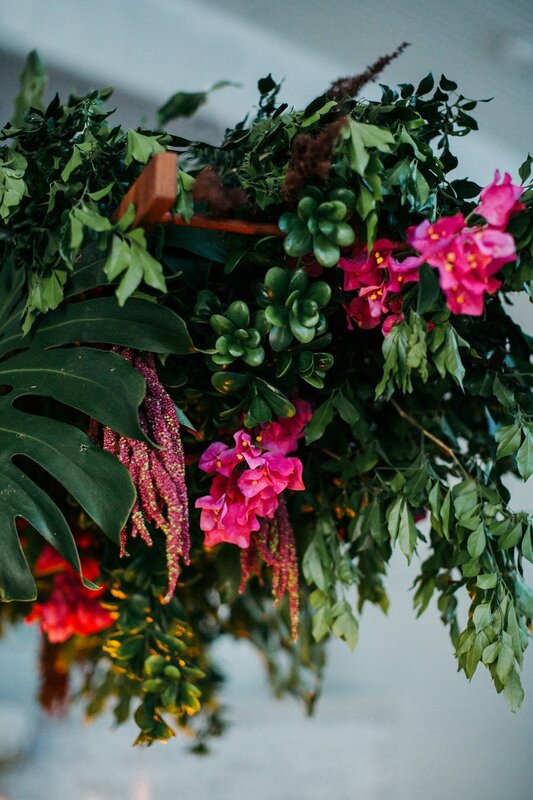 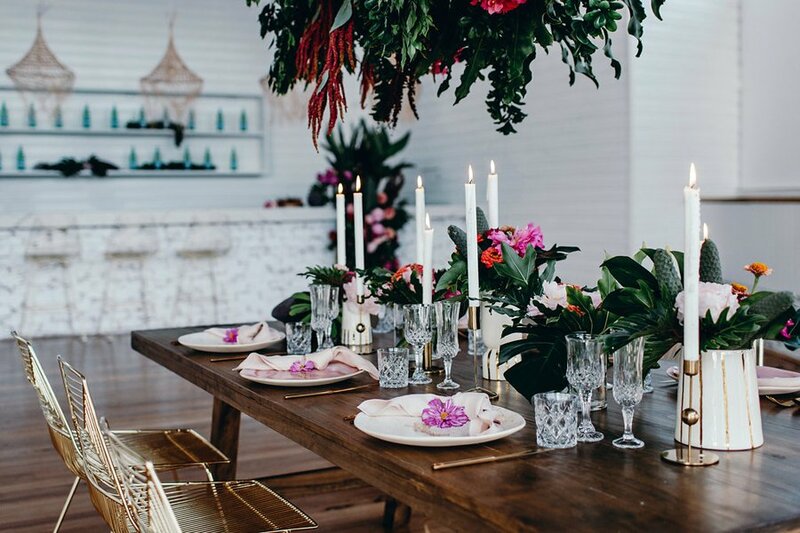 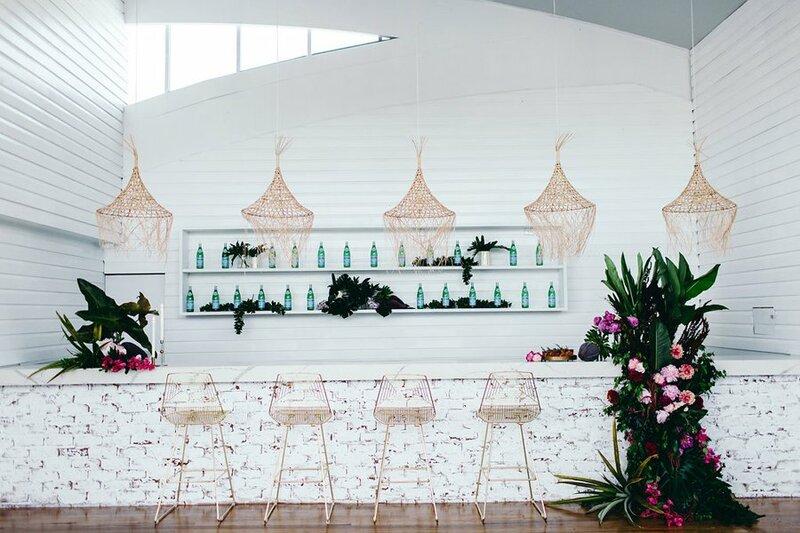 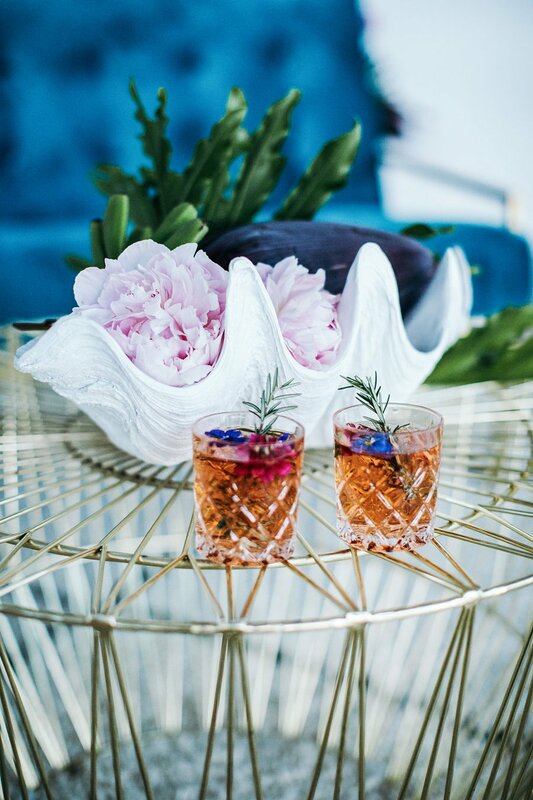 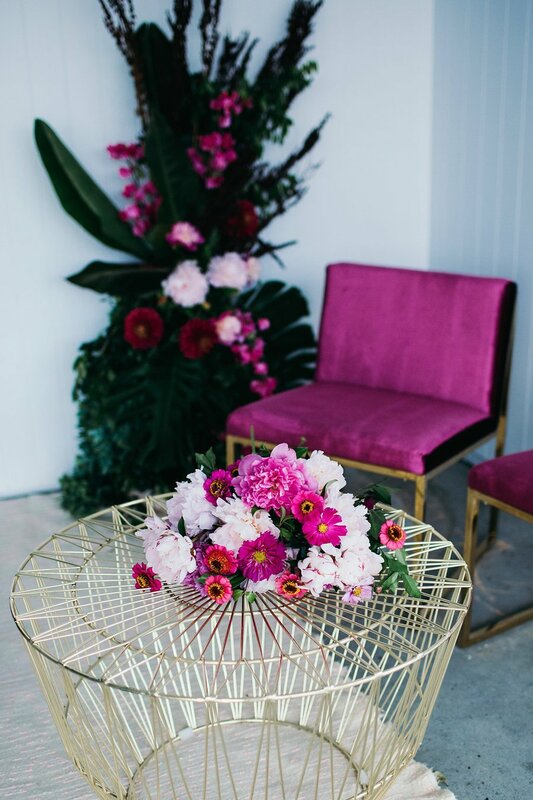 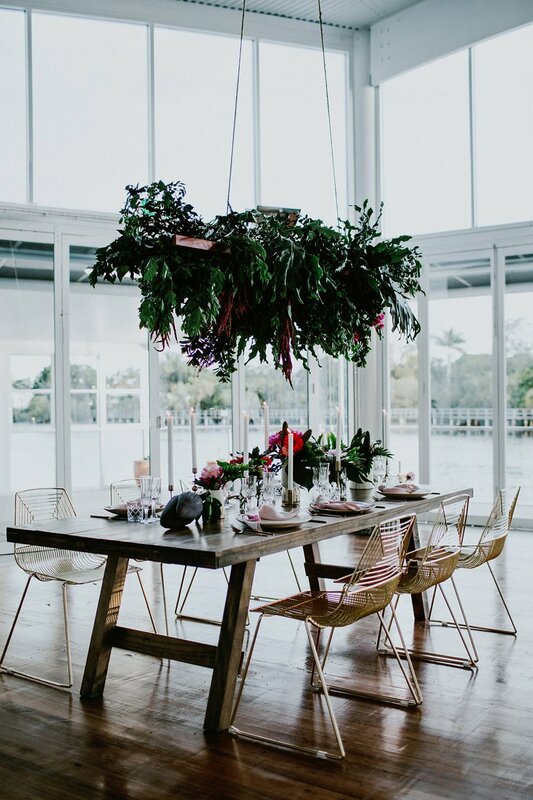 With Rattan, gold/brass, cut glass, lots of big lush tropical foliage and lots of pinky blooms thrown into the mix – the result was nothing short of stunning! 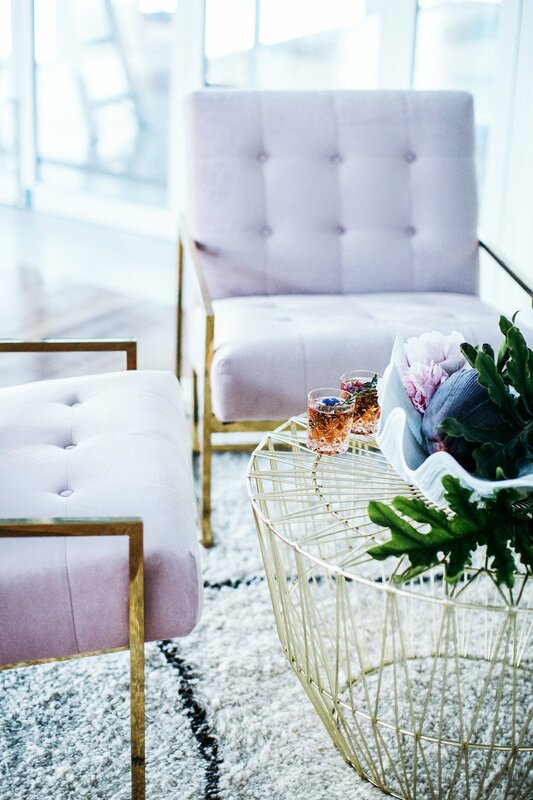 Makeup – The Luxe Beauty Co.